Warren dreads moving to a new neighborhood, especially when he sees the creepy plants in an elderly neighbor's yard. Are the shadows moving, or are these NIGHT CREATURES attacking people in the neighborhood? What would happen if one day you awoke to find that no one recognized you, your past swept away and the present empty? Is this freedom, or a new kind of nightmare in which you cannot answer the question, WHO AM I? Randy's brand-new school is falling apart! Each day, another strange thing happens. 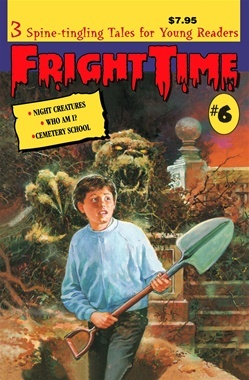 Randy and Eric suspect that a supernatural cause is behind the spiral of horrible happenings in this CEMETERY SCHOOL.